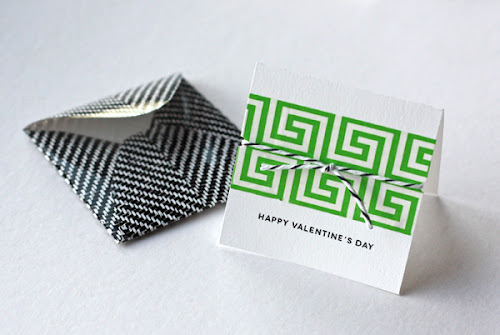 Print and cut out the cards, then align a couple strips of tape on the front and trim off the edges. 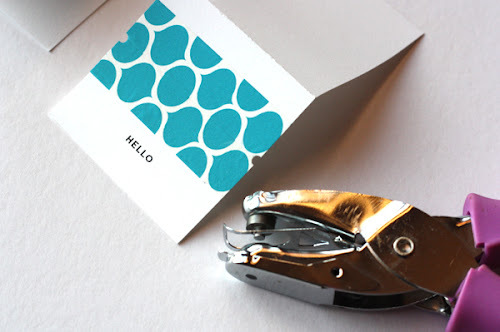 Use a 1/8" hole punch or scissors to notch the edges to keep the twine in place. Wrap the cover with twine, tie, and write a scandalous message inside. Make mini envelopes out of coordinating paper if you're feeling ambitious! I'm surprised you didn't print a scandalous message in your templates! THese are so cute. I just ordered washi tape via Amazon. SO excited. I learned about your website years ago from my friend, Darcy, and I've been reading ever since. Not sure if I've ever commented, but I love everything that you do. I am going to print your templates. So clever! Thank you, too, for all of the free font recs. I've downloaded every one you have recommended. I love how easy these are! Pretty little cards in a snap :). How do you make your mini enevelopes? 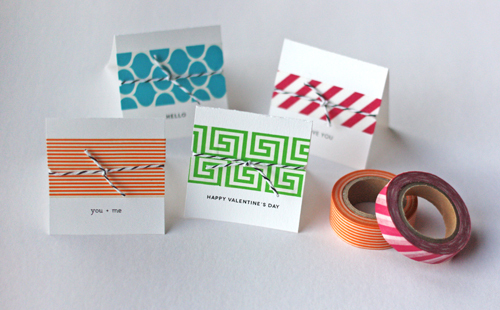 Perfect little notes and tags can be made with your washi tape ideas. Mahalo for sharing! I would be happy to use these cards as thank you cards (after an invitation to a meal, for example), or happy new year snail mail cards. I'll look at my washi tape stock differently now, thinking of how they might fit on mini cards!